1. At the beginning there was the suit. 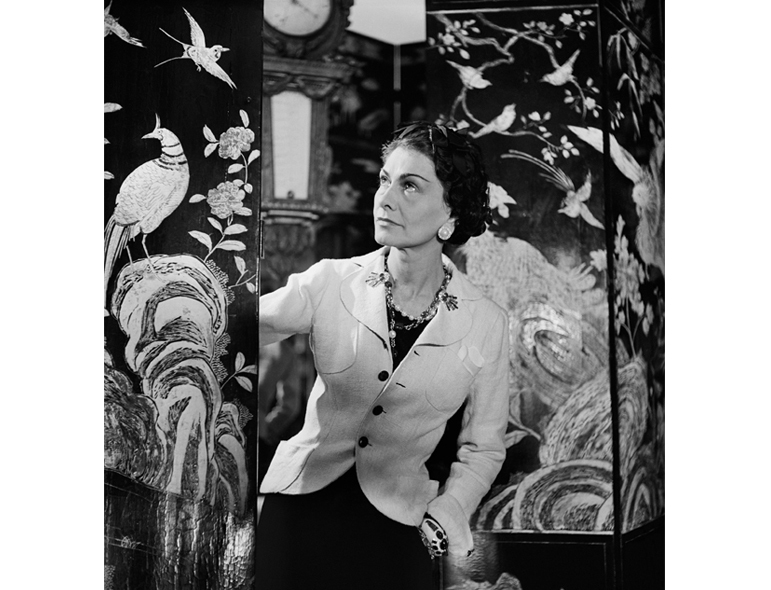 The Chanel suit, casual but elegant, was introduced by Chanel as a move away from the 1950s style which she considered too restrictive and largely unsuitable for the times. Mademoiselle Chanel wanted a suit for free, active women to be worn day and night – “I’m a great admirer of the female race. I wanted to give women clothes that they could feel comfortable in, that they could drive in but that, at the same time, would emphasize their femininity” she said. 2. The creation of the suit brought with it the birth of the Chanel jacket, that had a unique style of its own: boxy, structured and that closes edge to edge. To this day it is a symbol of a specific femininity and class, and of a modern, minimalist elegance. 3. Mademoiselle Chanel discovered tweed fabric in Scotland, where she was staying with the Duke of Westminster (one of her last lovers). She loved the fabric so much that she brought it back to France and made it the signature material of her famous jackets. 4. A delicate chain is sewn all through the inside of all Chanel jackets to make sure they fit and fall perfectly. It is the same chain that echoes the ones of the 2.55 handbags. A very chic hidden detail. 5. The Chanel jacket is a real couture creation – it is made of 16 fabric panels: 8 panels make up the front and 8 panels make up the back. The same goes for the inner lining, which is built in exactly the same way. Mademoiselle Chanel was obsessed about details and the inside of the jacket had to be just as beautiful as the outside. 7. The silhouette of the Chanel jacket is inspired by military jackets, as well as their unique buttons, that feature different designs and intarsias (and from these buttons one is able to understand from which year and collection the jacket is from). 8. All Chanel jackets have handmade trimmings applied to them. In time and with the new collections Karl Lagerfeld played with feathers, zips, and 3D bouclé effects to modernize the classic jacket. He created the Little Black Jacket in homage to Gabrielle Chanel (see the video) and The Little Black Jacket project followed – a book and exhibition that features photos of contemporary icons wearing the jacket (in the video, see what the Little Black Jackets means for them).